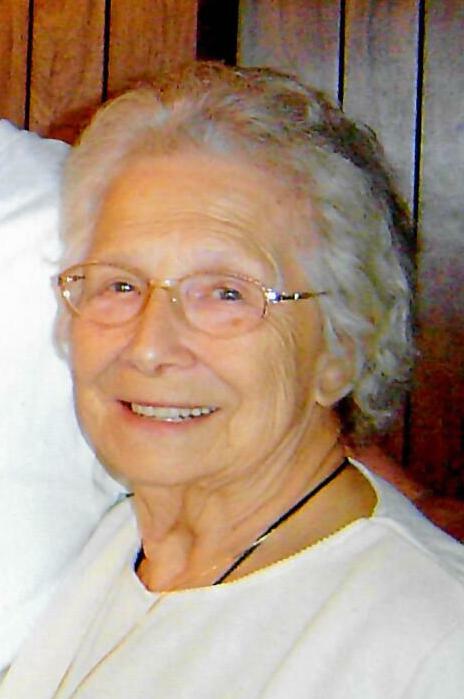 Betty J. Spence, 89, of 213 ½ Hoffman Ave. Oil City, PA. , died at 4:58 A.M. Wednesday March 27, 2019. Born March 18, 1930 in Dubois, PA., she was the daughter of Rachel Marshall Floravit and was raised by her grandparents William & Grace Marshall. A homemaker, Betty enjoyed reading and sewing, sitting on the porch and being with her grandchildren. She volunteered at St. Elizabeth's Center, and was very involved with St. Joseph Church. She was married on July 16, 1949 to Clifford S. McCauley and he preceded her in death on Sept. 10, 1973. On Dec. 10, 1975 she married Samuel J. Spence and he preceded her in death on Aug. 24, 2007. Kevin McCauley of Friant, CA. Samuel, Michael, Daniel and Stephen McCauley and step daughters Rosemary & Paula Spence and Jaime Laster. Friends will be received from 2-4 and from 7-9P.M. on Friday in the Reinsel Funeral Home. .
Mass of Christian Burial will be celebrated at 11:00 A.M. Saturday in St. Joseph Church with Fr. Ian McElrath, Presiding. Memorials may be made to St. Joseph Church Improvement Fund or to St. Elizabeth Center. The family would like thank Tracy Beach, David McNatt, Tami Fulmer, Diane Miller, Brenda Gouley and the VNA Hospice Staff for all of their care and concern for Betty during her illness.